Chinese e-commerce giant Alibaba Group Holding Ltd is lobbying hard to stay off the US Trade Representative’s blacklist after coming under renewed pressure this year over suspected counterfeits sold on its shopping platforms. Re-inclusion on the USTR’s annual list of the world’s most “notorious markets” for sales of pirated and counterfeit goods, while not carrying direct penalties, would be a blow to the company’s efforts to shed perceptions that its sites are riddled with fakes and that its anti-piracy policies are inadequate. It could also hurt Alibaba’s beleaguered share price. Two Alibaba sites – the business-to-business platform Alibaba.com and the hugely popular Taobao Marketplace – were on the USTR’s “Notorious Markets” list from 2008. Alibaba.com was removed in 2011. Taobao was taken off in 2012 for its “notable efforts” to work with rightholders to clean up the site. On September 10, the USTR called for public input as it formulates its latest list, expected in the coming months. At least three industry bodies have publicly responded with criticism of Alibaba, alleging counterfeits remain widespread on its sites and that the company is difficult to work with or inefficient when seeking redress. The company’s new government affairs chief, Eric Pelletier, who took up the post in June, has sent two formal letters to the USTR this month, including a rebuttal of the industry group criticism. Last week, Pelletier and an Alibaba lawyer met with an inter-agency working group coordinated by the USTR to discuss Alibaba’s anti-counterfeit efforts, a source with knowledge of the matter said. “When you step back and look at our overall efforts to combat illicit activities, our track record is clear. We are certainly not perfect, and we have a lot of hard work ahead of us…we will continue to do everything we can to stop these activities,” he wrote. Others think Alibaba should do more. The American Apparel and Footwear Association pressed the USTR to re-instate Taobao on the blacklist due to Alibaba’s “unwillingness to make serious reforms” and failure to address the organisation’s concerns. The AAFA opposed the de-listing of Taobao in 2012, but had not recommended re-listing the site until now, AAFA spokeswoman Catherine Michael said. Four years of talks “were not productive and did not lead to progress of fixing the problem”, she said. Alibaba says the AAFA has refused recent requests to meet to discuss the concerns. The Trademark Working Group, which includes some Fortune 500 and other major brands, and ANDEMA, a Spanish anti-counterfeiting association, that counts 70 companies including Levi’s and Camper among its members, also criticised Alibaba’s processes for removing suspected listings of fakes. Several brands contacted by Reuters, including Burberry and Adidas, declined to comment directly on the issue. Privately, some industry sources say Alibaba has made patchy progress in fighting fakes and can be less-than-helpful with smaller brands or those with which it has no special agreements or memoranda of understanding to work together to combat intellectual property rights violations. “It was a mistake to take them off of the ‘notorious markets’ list,” said one source at a Western sports brand who declined to be identified because the brand works with Alibaba. In May, Gucci, Yves Saint Laurent and other luxury goods firms owned by Paris-based Kering SA, launched a lawsuit against Alibaba in New York for the second time in less than a year, contending the online shopping titan knowingly made it possible for counterfeiters to sell the products. Pressure on Alibaba has not only come from industry. In January, the State Administration for Industry and Commerce (SAIC), a Chinese government regulator, criticised Taobao for counterfeit goods listings. It also issued a “white paper” blasting Alibaba for failing to crack down on illegal activities on its sites, although later confirmed the document carried no legal weight. 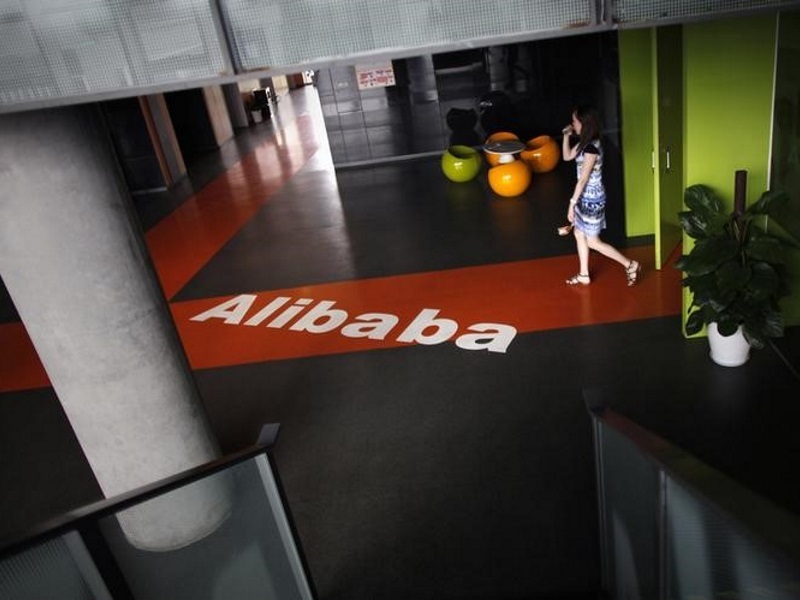 Alibaba said the methodology in the reports was flawed. USTR spokesman Andrew Bates said the agency was reviewing submitted comments. The list is expected to be published sometime between December and the end of March. Pelletier, who served as a legislative advisor to President George W. Bush and previously worked in Congress, has met with a range of government agencies since joining Alibaba in June. US officials were most interested in the counterfeit issue, and feedback had so far been “positive”, the source said. In an interview last week with Chinese news agency Xinhua, Alibaba’s found and chief executive Jack Ma said the company’s customer complaint rate was a low 0.0116 percent, lower than that of bricks-and-mortar shops. “I don’t believe success can built on dishonesty,” it quoted Ma as saying.